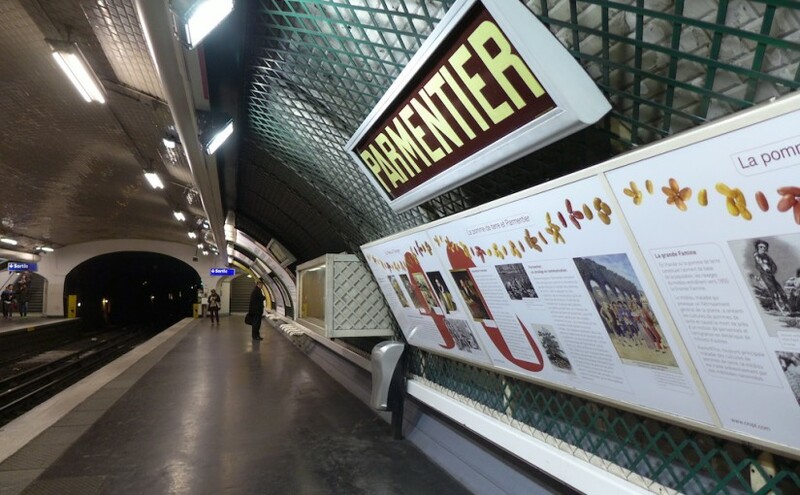 For once my metro station of the month will not be underground… but on earth as what is remarkable in that metro station is not the platform but the entrance which is my favourite metro entrance in Paris! 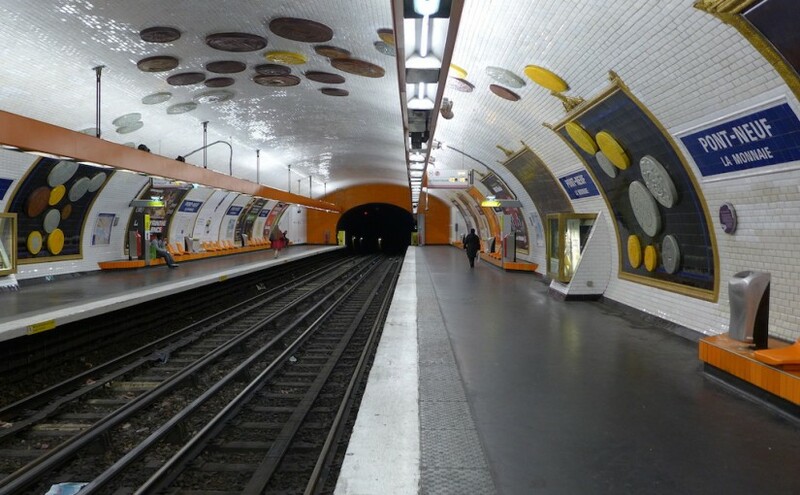 It is the one of the metro station Palais Royal-Musée du Louvre, located in the first arrondissement of Paris on the Place Colette, near the Louvre and the Comédie Française which is one of the most famous theatres in the world. 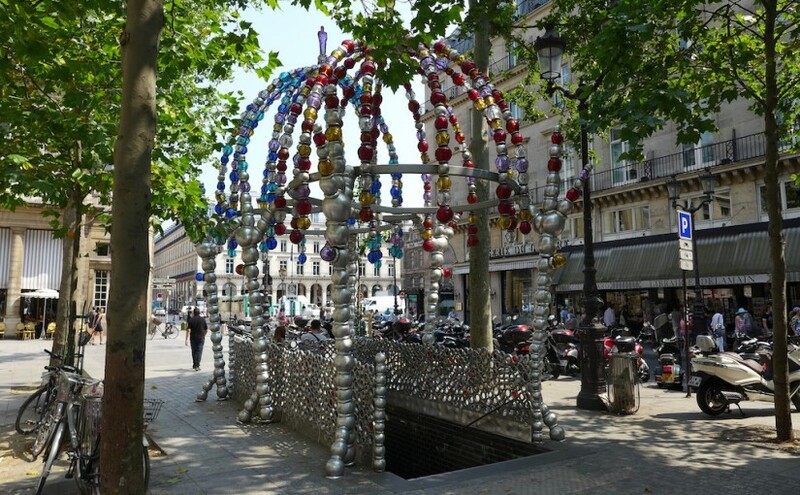 This metro entrance has a name: it is called the ‘Kiosque des Noctambules’ and was imagined in 2000 by the French artist Jean Michel Othoniel to celebrate the centenary of the Parisian Metro. It looks like a candy or a jewelry box! Coloured Murano Glass beads are strung on an aluminum structure and build two domes similar to two royal crowns symbolizing the day and the night. The stairs are surrounded by an aluminum lace and the art work continues down the stairs with painted earthenware tiles and two display cases with coloured glass beads. I like the contrast between this baroque and colourful Metro entrance and the very classical architecture of the buildings all around. It’s a shame that such a creative initiative has not been extended to other Metro entrances! I would have loved it!